We are proud to feature a variety of artwork throughout the year in the Ann White Academy Gallery and Art Up Front, conveniently located on the first floor of the Academy of Fine Arts Building at 600 Main Street. The Arts and Education building, which features mixed media exhibits in the lobby, is located at Commerce & 5th Streets in historic Downtown Lynchburg. Gallery Hours: M-F, 9-5 and Saturdays by appointment. Both spaces are fully handicap accessible. A Gathering Place for people and events inspred by Africa, on the Doorstep of the Viginia University of Lynchburg. Africa House endeavors to bring exhibits of work by both established and emerging artists to the Lynchburg community, and beyond. Being located adjacent to a Historically Black College, The Virginia University of Lynchburg, it is particularly interested in showing work by African Americans and other ethnic groups. The exhibition space in Africa House is made up of two large rooms and a small alcove and accommodates both two dimensional work and sculpture. When an artist's work is on display the gallery is open every Satruday from 12 noon - 3 p.m., and on other days by appointment. The Riverviews Artists’ Co-Op Gallery represents many of the artists who are tenants of the facility. The original art ranges from realistic to abstract, the media from oils and acrylics to photography, needlework, encaustic, etchings and serigraphs. The gallery serves as a catalog of available styles and methods and points the way to more extensive offerings in the individual studios. Every two months a new and different show is mounted. A member artist is featured on the front wall. 540-586-8811 View the works of local craftsmen and artists in the second floor loft of Bedford Hardware. 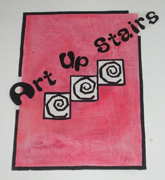 Art Upstairs is open to the public during regular store hours of Bedford Hardware, or by appointment. Blackwater Creek Gallery specializing in folk, visionary And outsider art, by people creating outside of the mainstream art world. (540) 586-4235 The Bower Center for the Arts strives to enrich the lives of area residents by the promotion of the arts and arts education. The beautiful little town of Bedford, Virginia is indeed lucky to be home to this cultural gem with such a diverse array of offerings. The Craddock-Terry Gallery exhibits the work of professional-level contemporary artists, in a variety of media, for the enrichment and enjoyment of the citizens of Central Virginia. You can find us at the intersection of Depot and Court Streets in Bedford. Parking is available beside our building at all times and in front of our building after 4pm on weekdays and all weekend. Goose Creek Studio presents monthly exhibits and a regular inventory of artwork and crafts from local and regional artists. In addition, we feature the work of artists who work at the intersection of faith and creative expression. Whether your taste is traditional, realistic, funky or abstract, we offer affordable art for your home and office. We are proud to show the work of a number of local artists and artisans. We are also available at other times by appointment or by chance. is a community arts center in Floyd, Virginia, just miles from the Blue Ridge Parkway. We celebrate and facilitate regional arts through classes, exhibits, community receptions and more. The Hayloft Gallery is located in the upper level of our renovated barn. Its arched ceiling gives a sense of spaciousness that makes it one of the best showrooms in southwest Virginia. Climate control makes it a safe place for all media. The mission of the Hayloft Gallery is to provide an aesthetic environment to showcase the work of local and regional artists and artisans, to encourage, inspire and educate the growing artist and the public as to the value and importance of creative expression in a rural mountain culture, and to contribute to the quality and diversity of the local economy. The Breezeway Gallery is located on the first floor of the Jacksonville Center Barn. Every other month The Jacksonville Center opens a new two-month-long exhibit in the Breezeway Gallery at our Second Saturday Reception. Call (434) 592-5900 for more information. The Liberty University Art Gallery, now in its new location on the fourth floor of DeMoss Hall, features 13-foot ceilings, track lighting and a professional hanging system. .
Liberty has featured the work of some of the nation’s best and brightest artists, including renowned landscape painter David Heath, and even special guests familiar to Liberty, including Macel Falwell, wife of Liberty founder Dr. Jerry Falwell, Sr. In November 2011, the Blue Ridge Plein Air Painters donated six works of art to Liberty’s art gallery, starting its permanent collection. The group will be visiting campus this fall. These works will be on display again in the art gallery next summer. Hours are generally Monday through Friday 8:00 a.m.- 4:30 p.m. and 10 a.m.- 6 p.m. on Saturday, but vary due to holidays and class schedules. The Little Gallery, owned by Carol Swain and Kay King, opened in 1988 and has a friendly and well-trained staff that offers outstanding customer service. The Little Gallery features more than 200 internationally, nationally and locally known artists. In addition to fine art, the gallery sells handmade pottery, jewelry, stained glass and blown glass, and fine art prints in a wide range of sizes and prices. The Little Gallery also provides businesses and institutions with art through the gallery’s corporate program. Winter hours of 10 a.m. to 5 p.m.
Summer hours of 10 a.m. to 9 p.m.
Our Permanent Collection is available for viewing during our regular gallery hours and during First Fridays and Opening Receptions. Visitors will enjoy seeing artwork dating back to 1895 when The Lynchburg Art Club was first established up to the present day. Additional information on individual pieces and artists is available in a reference book located in the members gallery on the first floor. We are pleased to share our beautiful collection with members and visitors and invite everyone to take advantage of this extraordinary display. dauragallery@lynchburg.edu The Daura Gallery exists to support the mission of Lynchburg College by being a resource for teaching through the collection, care, interpretation, and exhibition of works of art, and to enrich the cultural life of the College and the community beyond. The Daura Gallery seeks to serve Lynchburg College and the community beyond by providing opportunities for learning, enjoyment, and personal growth, by strengthening the creative and curricular life of the College, and by encouraging the interdisciplinary affiliation of the visual arts with diverse academic disciplines. Select Sundays, 1 - 4 p.m.
Closed holidays and college breaks. FROM Downtown Lynchburg: (U.S. 29 or 460): Main Street becomes Rivermont Avenue at 5th Street Proceed 1.8 miles and turn right onto Quinlan Street. On foot from the front campus of Randolph College: Proceed to the back of Main Hall, down the hill, and follow the Associates Walk (between the tennis courts and the playing fields) and the Betton Walk up to the Museum. Randolph College’s nationally recognized collection features works by outstanding American artists of the 19th and 20th centuries. The mission of the Maier Museum of Art specifies that its collecting concentrate on American art. This is understood to encompass works of art, in a variety of media, created by artists active in the United States. The Museum seeks for its collection objects of artistic significance that are representative of national trends, that illuminate the history of the visual arts in the United States, and that exemplify the best efforts of American artists. The Museum makes every effort to acquire the work of artists who represent the breadth and variety of America’s cultural heritage. The Museum’s strengths lie in American Impressionism and in early 20th-century Realism. The collection also holds an extensive collection of works by the visionary modernist Arthur B. Davies, as well as a strong representation of work by painter, printmaker, and photographer Ben Shahn. Contemporary photography and printmaking are areas of special interest. Hours: Academic Year: Tuesday – Sunday, 1:00 to 5:00 p.m.
Summer (May-August) Hours: Wednesday – Sunday, 1:00 to 4:00 p.m. The entrance to Sweet Briar College is approximately 13 miles north of Lynchburg, Va., on U.S. Route 29 (business) and 3 miles south of the Route 29 intersection with U.S. Route 60 at Amherst, Va.
Pannell Gallery is located on the main floor of the Anne Gary Pannell Center (former Refectory), on the Upper Quad near the chapel. Babcock Gallery is located off the lobby in the Babcock Fine Arts Center, next to the Williams Gymnasium and across the street from the Guion Science Building. Benedict Gallery is located in the lobby of Benedict Hall, next to Cochran Library. The regular study of original works of art is an invaluable component of a liberal arts education. The Sweet Briar College Art Collection and Galleries enrich the curriculum by providing an on-going opportunity for students and professors to examine and research significant paintings, prints, drawings, photographs, sculptures and other works of fine art. More than 25 years ago, in the fall of 1984, Sweet Briar College renovated the 1906 former Refectory (now known as the Anne Gary Pannell Center) to house the school's art collection and art library, to provide an exhibition hall, and to provide offices and classrooms for the art history department. Pannell Gallery also functions as a venue for lectures, classes and other educational programs and public events. Art acquisitions and art collection-related programs and activities are supported in part by the College's Friends of Art. This main gallery is supplemented by two satellite galleries, one located in the lobby of Benedict Hall and one adjacent to the theater and dance studios in Babcock Fine Arts Center. Babcock Gallery is used as a venue for temporary exhibitions featuring recent work by mid-career practicing professional artists, generally from the Mid-Atlantic region, in a variety of media. Benedict Gallery features a variety of community-based exhibitions, for example the work of gifted children from Amherst County schools, displays showcasing historic documents or artifacts, or the work of local artists. Please check back as artists in the area add their work to our online listings. If you would like to be notified when works are added to the site, join our newslist by filling out the form below. Artists: If you would like to show your work here and make items available for online purchase, fill out the form below to request information.